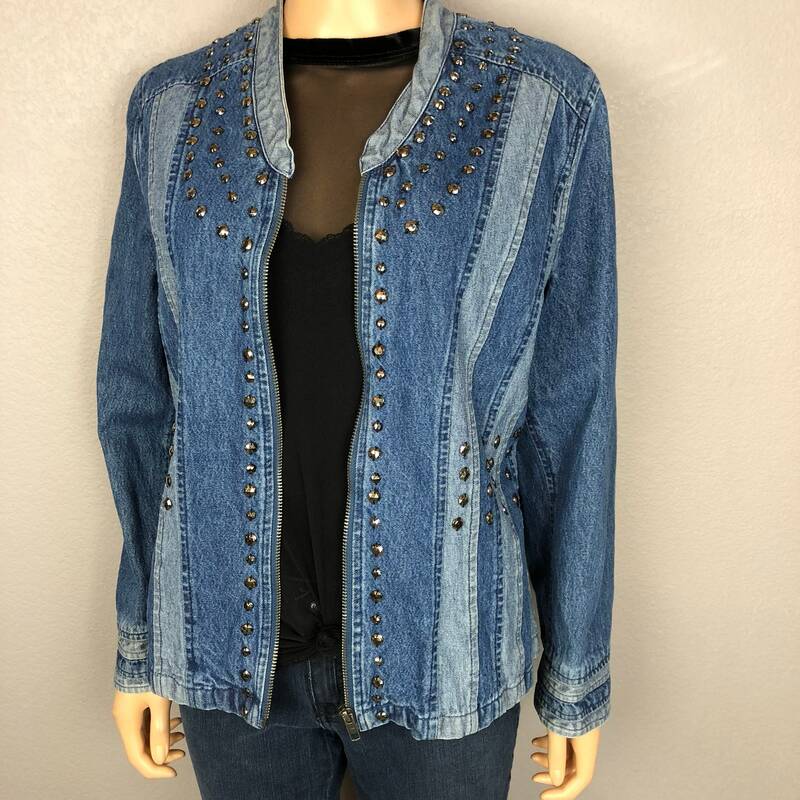 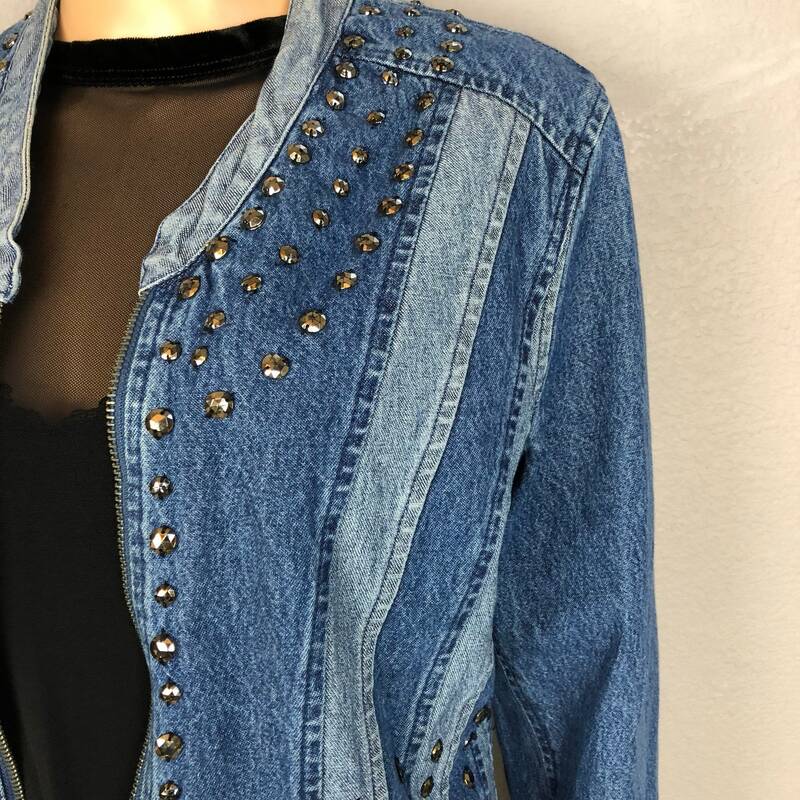 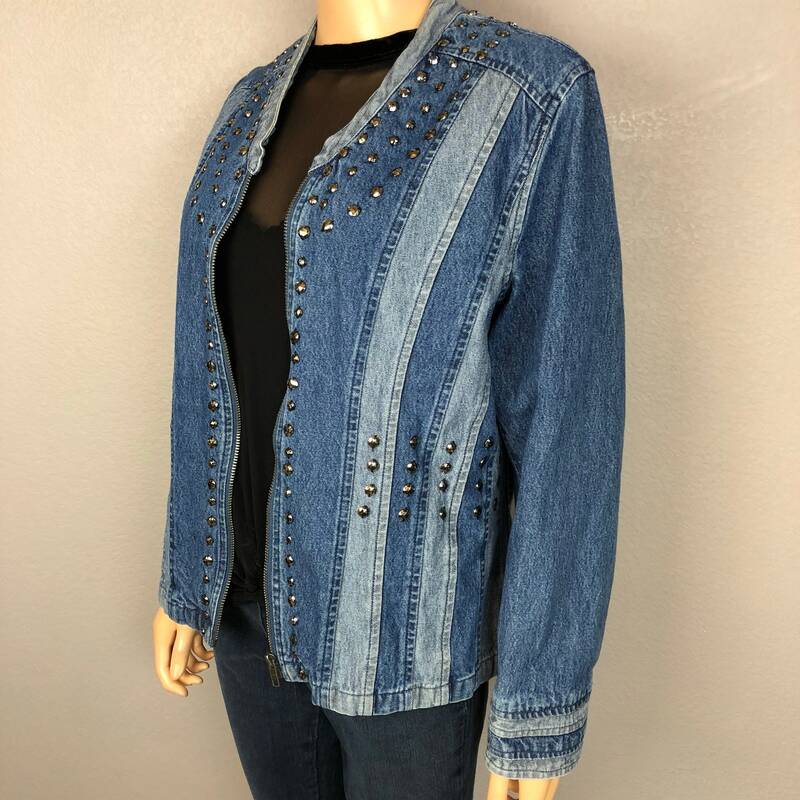 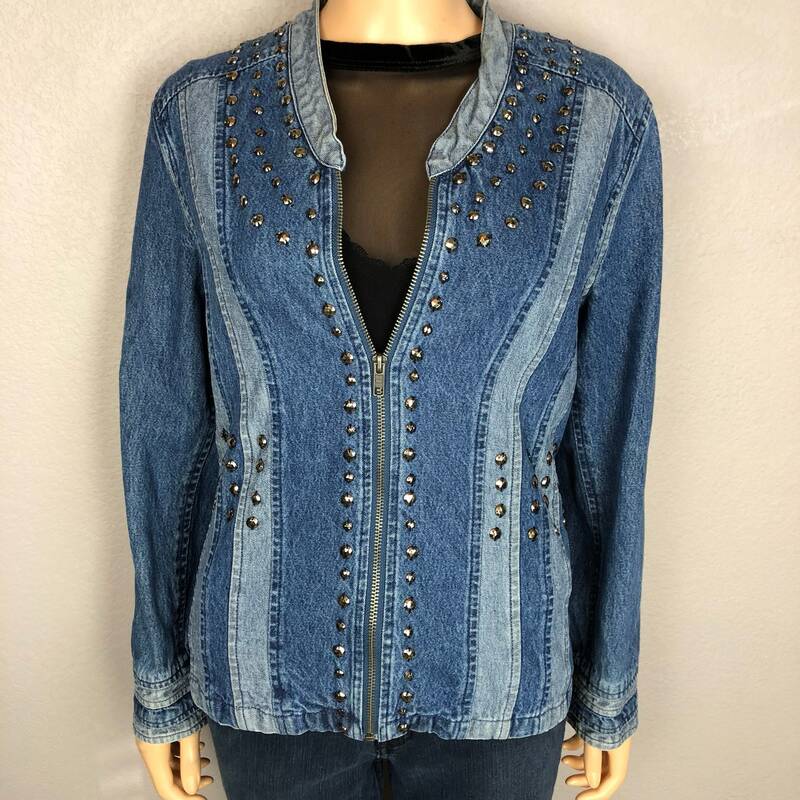 Very cool and unique 90’s denim jacket for sale. 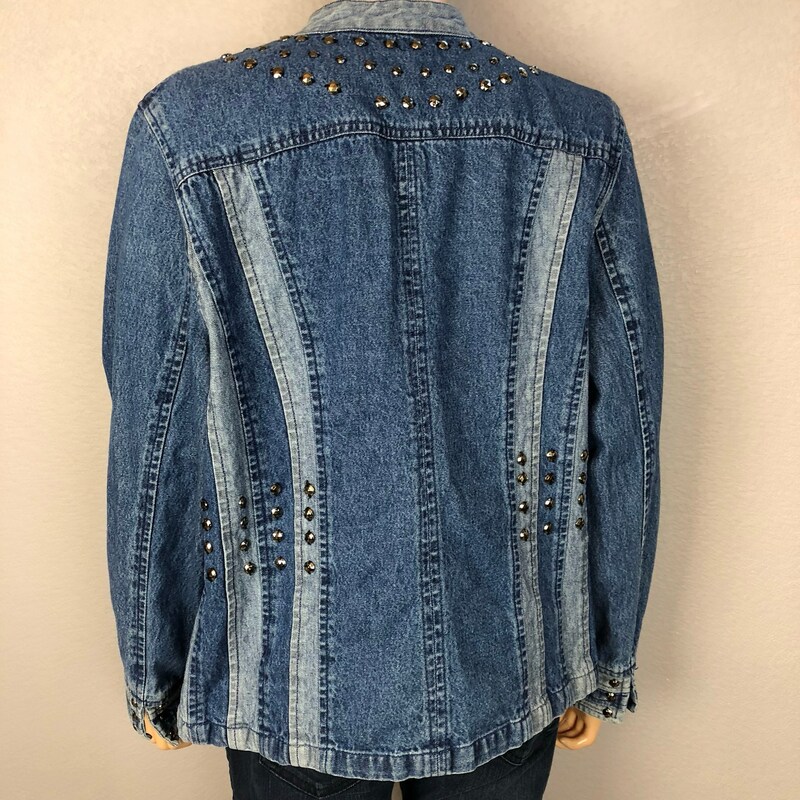 This has rhinestones sewed on throughout. 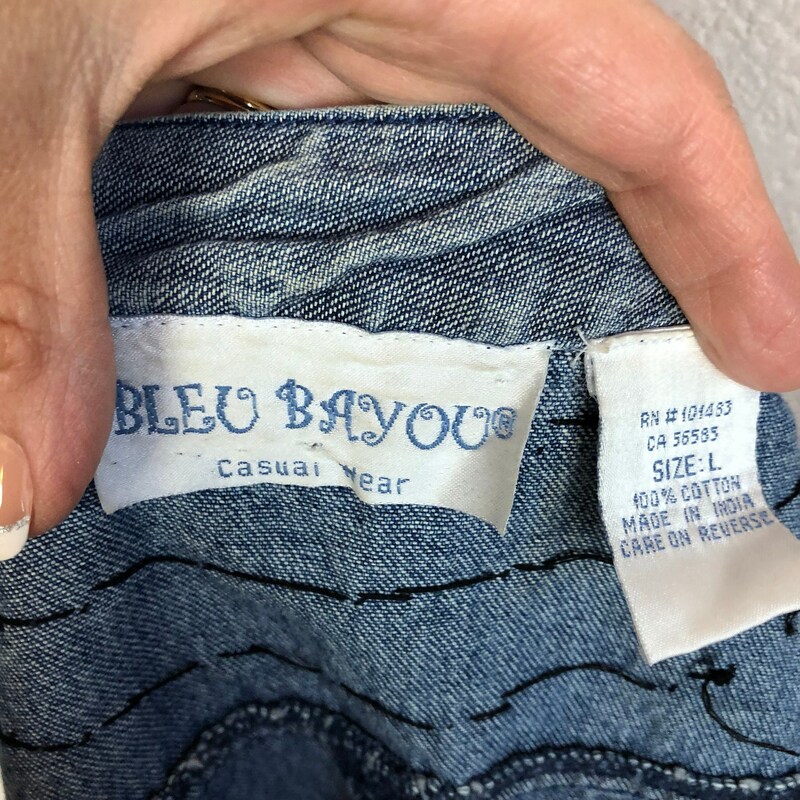 It is in fabulous condition. 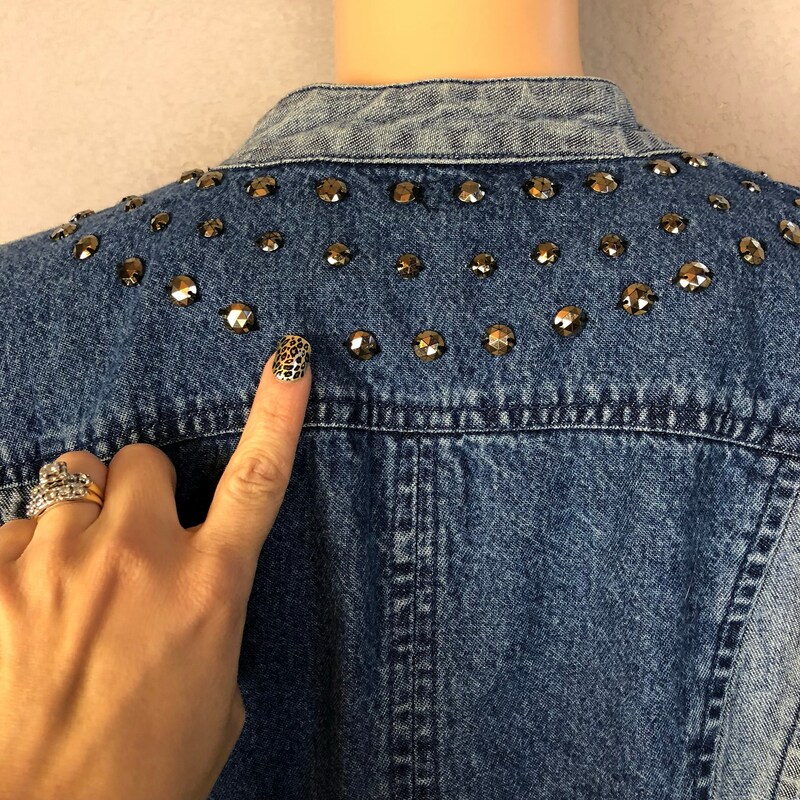 There is one missing rhinestone on the back as shown in the close up photo. 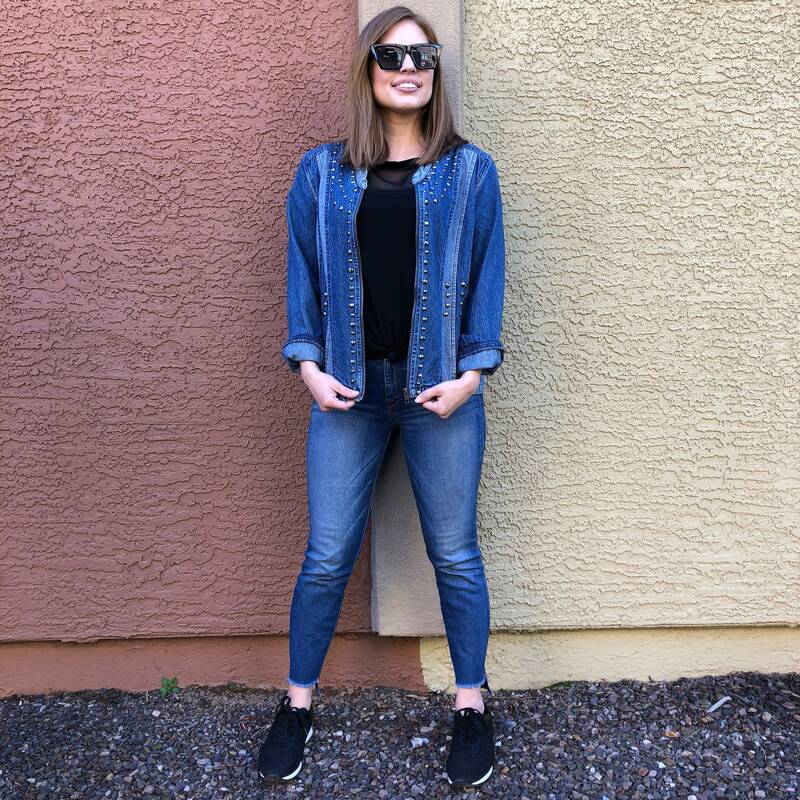 It is made from soft cotton and it’s not super thick and structured like some denim jackets.